Table of Contents Tab Discounts Apply ! Letter size, Standard white paper. 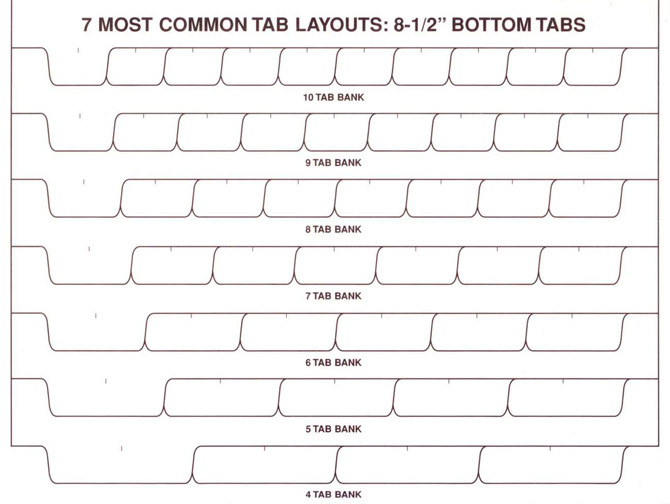 1 side only tab, 5th Cut center (3rd) position 25 sheets per package. 1-9 packages: $4.25 ea. 10-19 packages: $4.00 ea. 20+ packages: $3.83 ea.